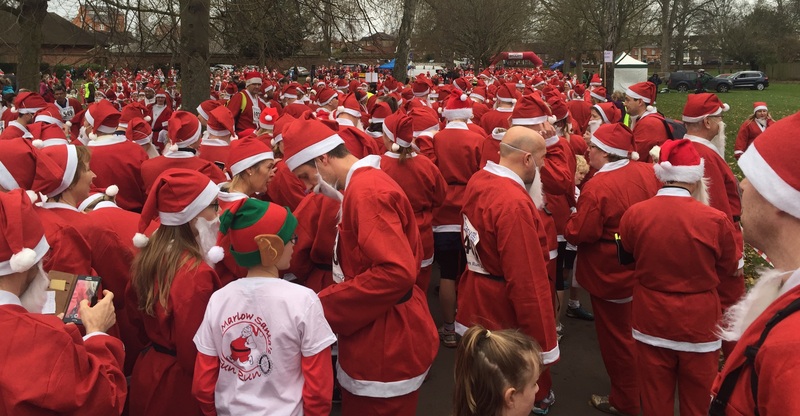 This weekend Chiltern Relocation took to the streets of Marlow for the 11th annual Santa Fun Run. The 5km Santa dash attracted 2500 runners – young and old, disabled and able bodied, walkers, runners and pushers. 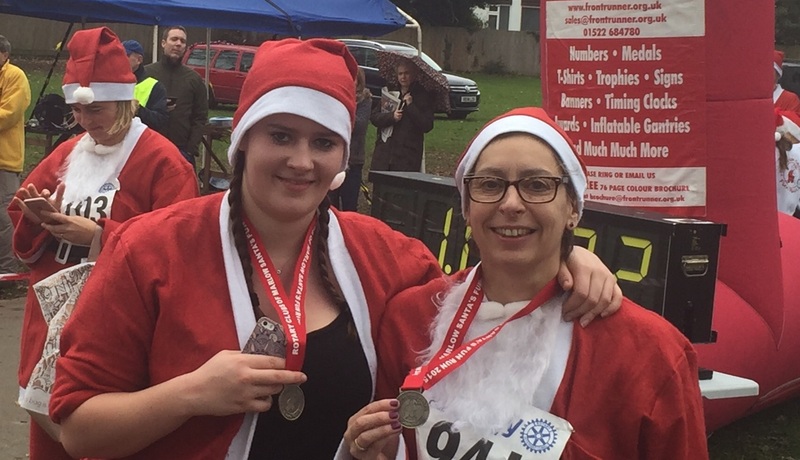 The event was organised by the Rotary Club of Marlow who set the target of raising over £30,000 for charities and good causes. Adults were provided with the obligatory Santa suit and children a Santa t-shirt. 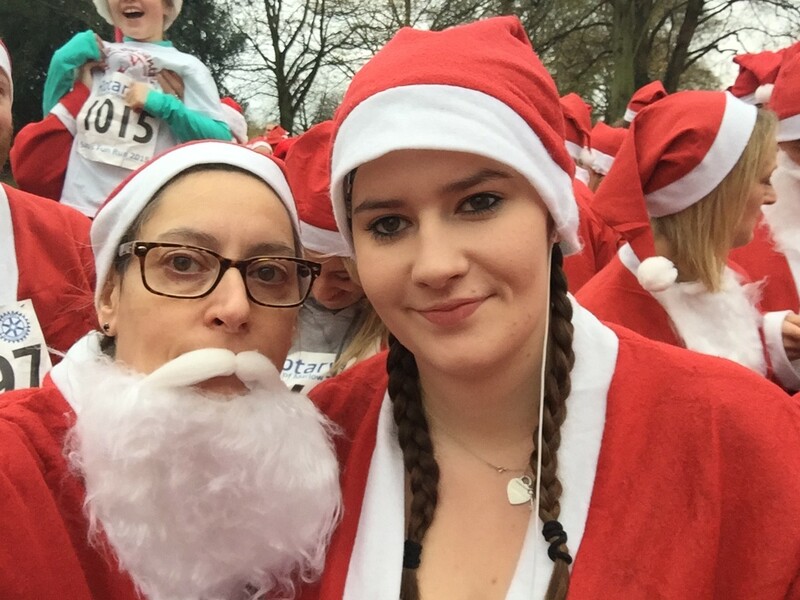 Managing Director of Chiltern Relocation, Sharon Hewitt, felt the need to ‘test run’ the suit to confirm that it was jog-worthy and took to the streets of Beaconsfield on the eve of the run (in true Santa style!) to put the suit through its paces and she was met with many approving toots of horns and cheers on her way! After a few small adjustments the suit was deemed ready for the big day. Naomi Riches, the Paralympic and six-time world champion rower, organised the fun warm up to Christmas music in Higginson Park and Sir Steve Redgrave started the run. It was a fun, festive, family event which got the whole town buzzing. Local shoppers were delighted to witness a sea of red as the Santa’s started the run down Marlow High Street and locals lined the streets to cheer them on. …. Finish line – medals for all! Chiltern Relocation was raising money for their charity ‘Make a Wish Foundation’ which grants magical wishes to enrich the lives of children and young people fighting life-threatening conditions.